Review: Another day, another Gustav location. 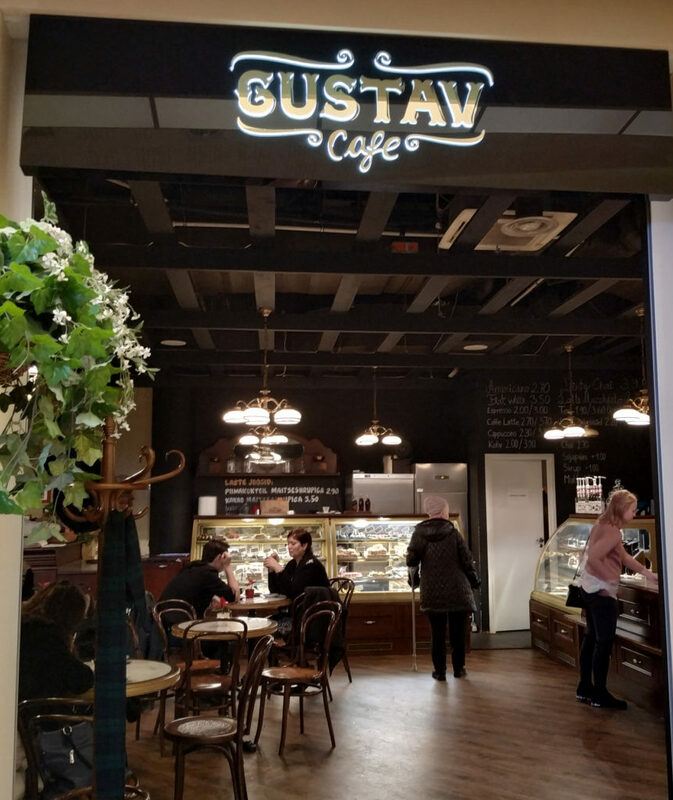 So yes, technically we’ve already been to Gustav Cafe but this one is in Solaris so it’s completely different! Despite my glibness, this was actually quite different. While the one in Viru Keskus has a more bustling vibe, this one is quiet and laid back. Located on the bottom floor of Solaris it’s pretty easy to get to. Solaris is across the street from the Opera House, a short walk from either the Viru or Vabaduse väljak stops on the tram and a number of buses go by (about 8 of them so I won’t bother listing them). It’s really not hard to get to Solaris in general and since it boasts several cafes, shops, restaurants, and a movie theater it’s likely most people will end up in the space at some point if they’re hanging around Tallinn. The space feels very warm and close with lots of victorian looking chairs inside and tile-lined wooden tables. Chairs and seating ranged from two seaters all up weird long couches. There’s also an additional seating section located a few steps outside of the front door which reminds me of a barn in a weird way but not in a negative one. More like a hipster pintrest idea of what a barn might look like. I made a mistake because I decided to order a mocha and honestly after all my travels and all my many mochas I should have known better. It was on the “confusing” end of the scale with an honestly bitter taste. I’m sure if I’d just gone for a coffee or a latte it would have been perfectly fine but head my warning: no mochas unless you don’t like your mochas a specific way and/or you don’t have trust issues. We split three cakes because life is short. First up was this cake that purported to be a Caramel Cheesecake. I guess the look of this thing gave me gingerbread vibes and that was what I expected and 0% of what I got upon biting into it. A very confused cake it’s like if a caramel tart and a cranberry cheesecake had a child and that child inherited all of the worst traits of its parents. Tart on the bottom and sweet on the top with conflicting too soft crust and crunchy piece filling the middle this thing is kind of a culinary wonder as much as it is unpleasant. The decorations on top felt like they would be safe but instead the chocolate was sickly sweet and the caramel cone was sticky and unpleasantly honey-flavored. Yikes. What a mess. The Black Currant Cheesecake was much more coherent. A slightly less elegant entry into the land of cakes this cake was more than it said on the tin. Reminding me more of Red Velvet Cake (not because of the color but because of the texture and the richness) than a straight up fruity cheesecake these cake had a nice tart punch behind it’s creamy, sweet middle. 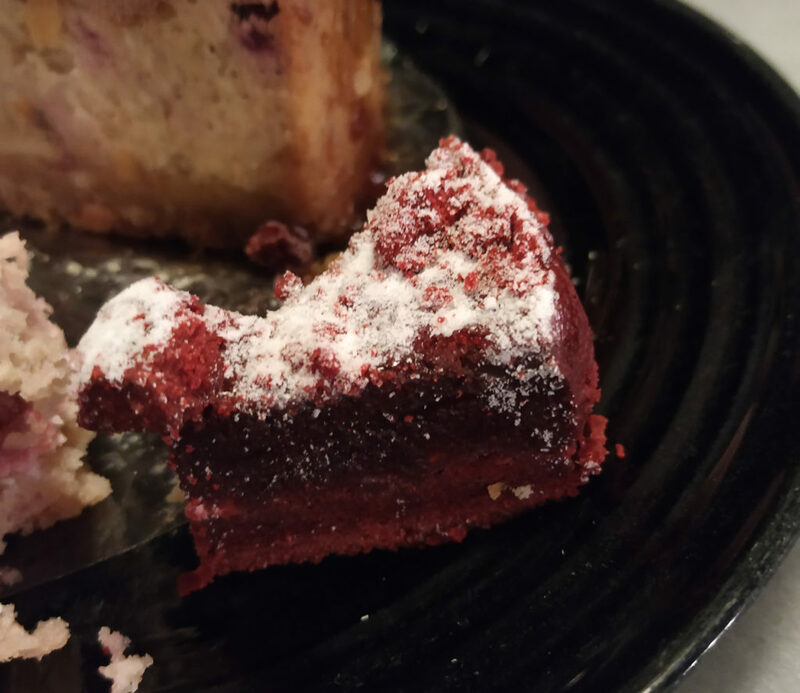 It was hard to eat even the half piece I had because it was just so dense and it stuck to my ribs instantly but the taste was really good and I found myself wanting to eat another piece once I was done despite how full it made me feel. Lastly we had this Cranberry Roll Cake. This was easily the least confusing and best of the bunch. 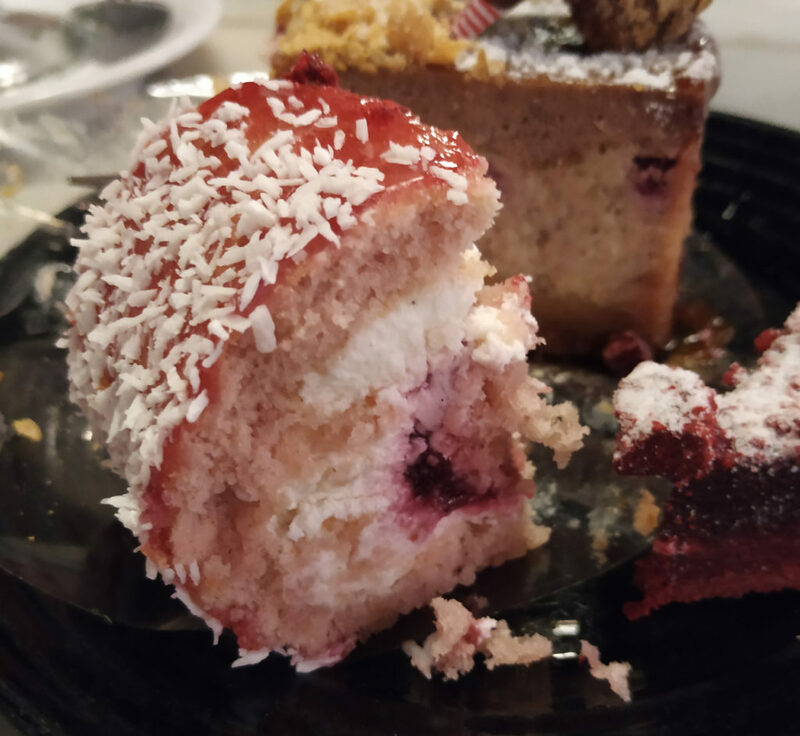 There’s a place and time for complex cake but sometimes you just want to shove an uncomplicated pile of sponge cake and whipped cream in your mouth. This doesn’t quite hit the level of that, the cranberry filling inside, the coconut crust outside, and a layer of jelly keep it from being too simple but they also kind of hold it back from greatness. I’m still not sure if coconut and cranberry work together but I also would not mind the hard work of ordering another piece just to do the science needed to figure it out. The cake itself is moist but without overwhelming flavor letting the sweet cream and cranberry duke it out in your mouth inside. The service in this cafe is absolutely standard. Neither a plus nor a minus. You get to carry all the items to your seat yourself but I consider that to be pretty boiler plate. Anyone looking to get doted on can to a different cafe since this one has quite a bit of foot traffic it’s very much a “take your order and move on” type cafe. 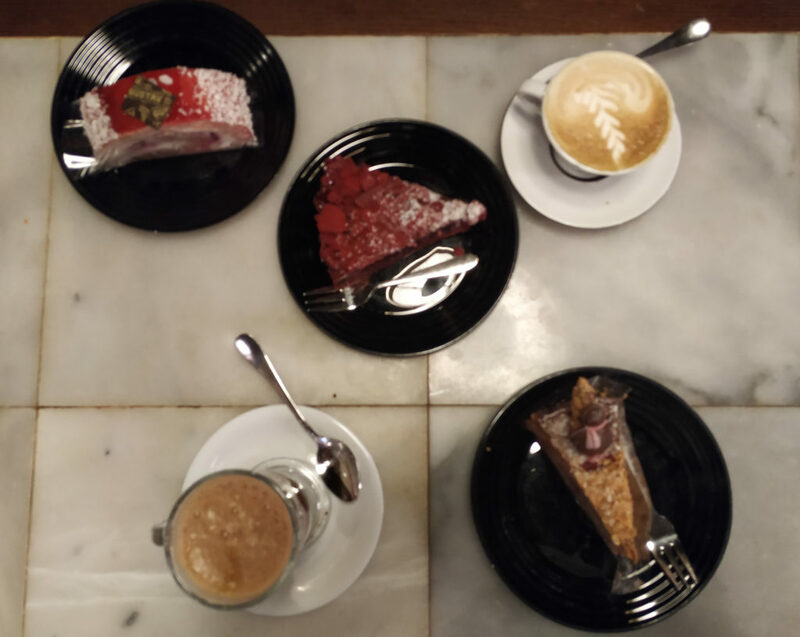 Overall, I love Gustav for its concept cakes and the sheer variety of things it offers. 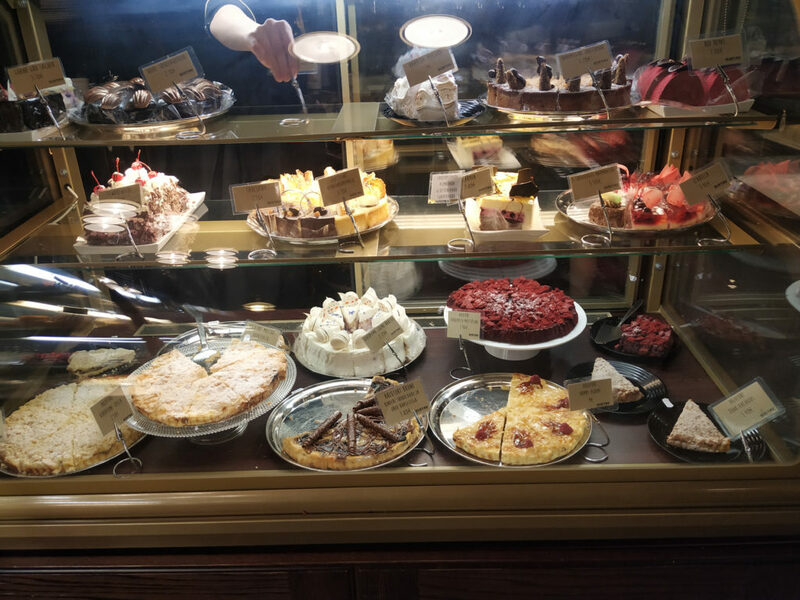 This location has a few upsides including a much wider variety of cakes and foods as well as being located in an overall quieter, more secluded space. The service is less personal here but I sometimes feel like that’s a plus, especially if you’re just looking to eat a cake and be left alone. 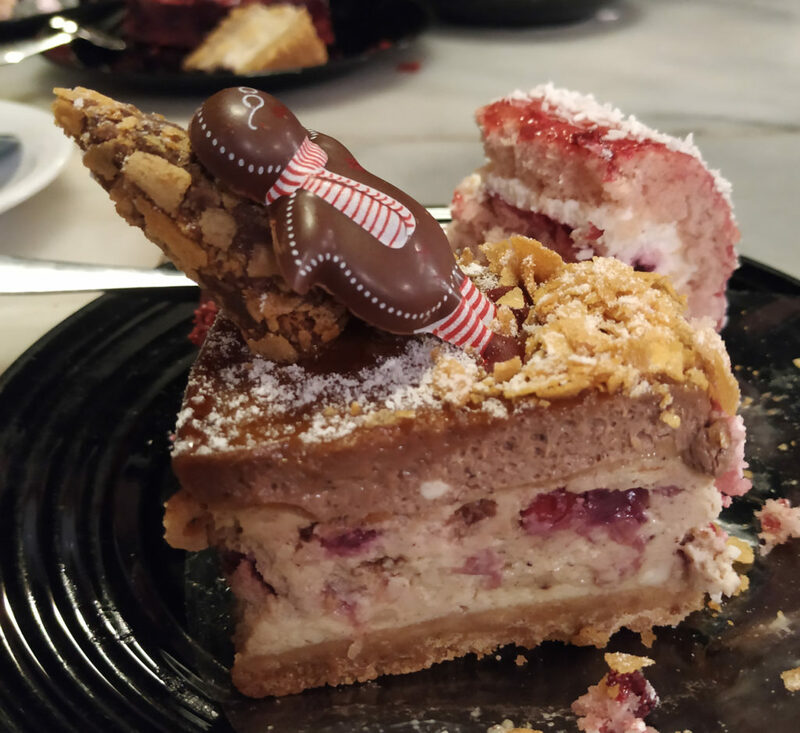 There’s plenty of boiler plate cakes to be had too so you’ll never feel too far out of your depth and maybe you could even try a truffle or two on your visit just to mix things up.